With it's impressive 7kg load size you'll be able to get all the family washing done, all the football kits and all the bedding and towels in less loads, saving you water and electricity. 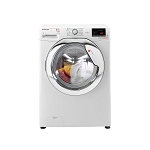 With its 5kg drying capacity your clothes will be ready in a flash, great for hectic schedules! 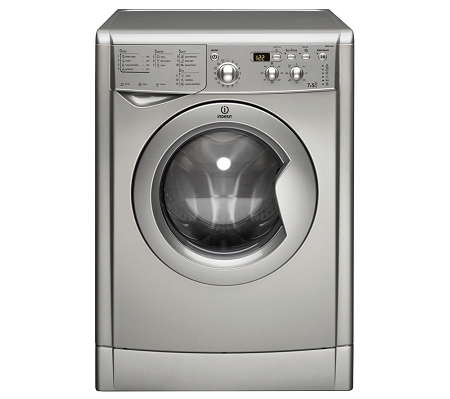 It's fast 1400 spin will means less time drying without having to use as much electricity. Handy for towels, bedding and heavy cotton loads. It's 12 programs include a very handy 'Express wash and dry' that will have your clothes washed, dried and ready to wear in 45 minutes! other special programs include a 'jeans' wash. this gentle wash looks after the denim and helps to preserve the colour of your favorite jeans. Other programs included in the programme list: Cottons, Mixed load, Sports programme, Synthetics, Economy wash, Pre wash, Wool, Delicte, Silk wash, Curtains. 'Set and forget' drying has to be the best invention ever! The machine will sense how wet the clothes in the drum are and will stop drying when they are dry. No need to guess any more! save time and electricity. Delay timer will delay the start of your washing for up to 24 hours. Great for when you want your washing to be ready for when you come in after a long day so it hasn't been sat in the drum all day.